Be the first to hear about their new releases and deals. Download the Booksprout app and search for E. L. Reedy today! Was born and raised in Iowa, where he devoured tomes of fantasy, sci-fi, and young adult novels as a child. In his free time, he is an avid gamer (D&D and Pathfinder). 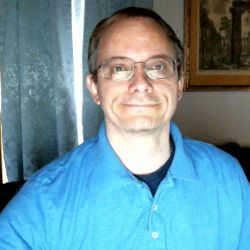 He has traveled the world as a soldier in the U.S. Army, and now lives in Iowa, where with his writing partner, he continues to pen works in the realms of Fantasy and Horror in the Young Adult Universe.